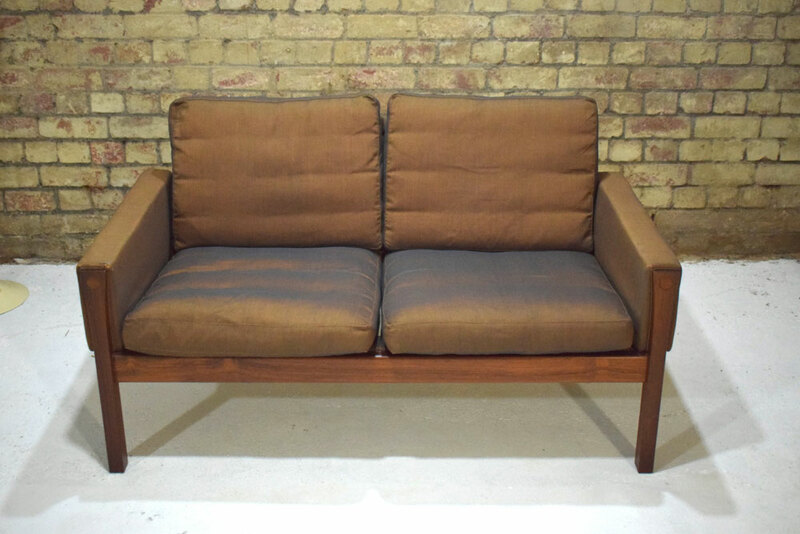 Vintage Hans Wegner design 2 seat sofa in brown silk with rosewood frame. Model AP62. 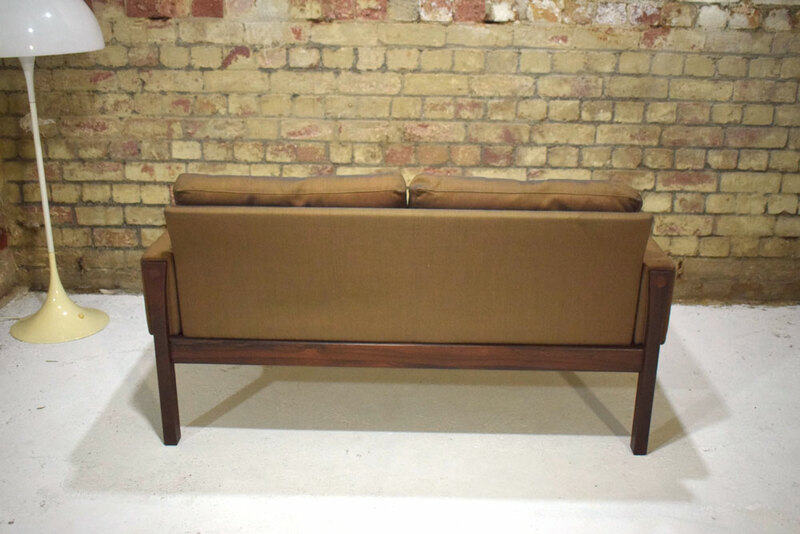 This lovely sofa has elegant designed detail that is eye catching and draws you to the conclusion of understated but luxurious comfort and quality. 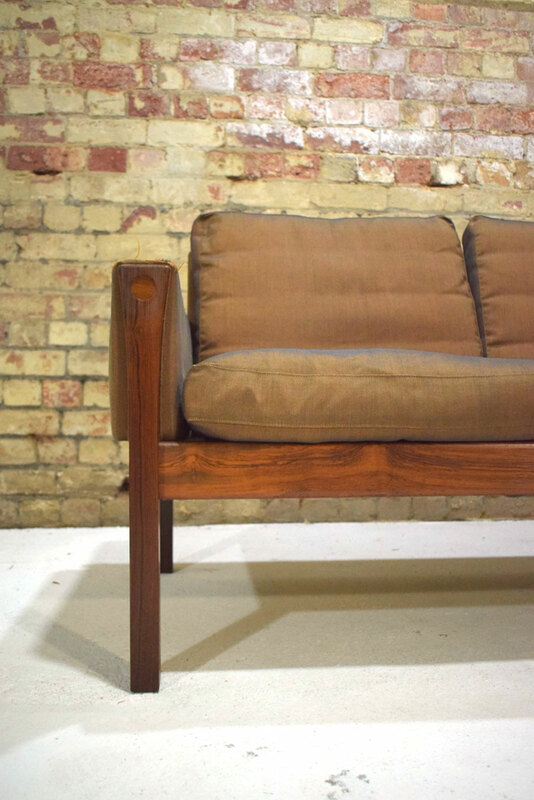 The sofa is upholstered in brown silk which is showing some signs of age and some marks. The arms will need to be re-foamed as the original foam has perished. 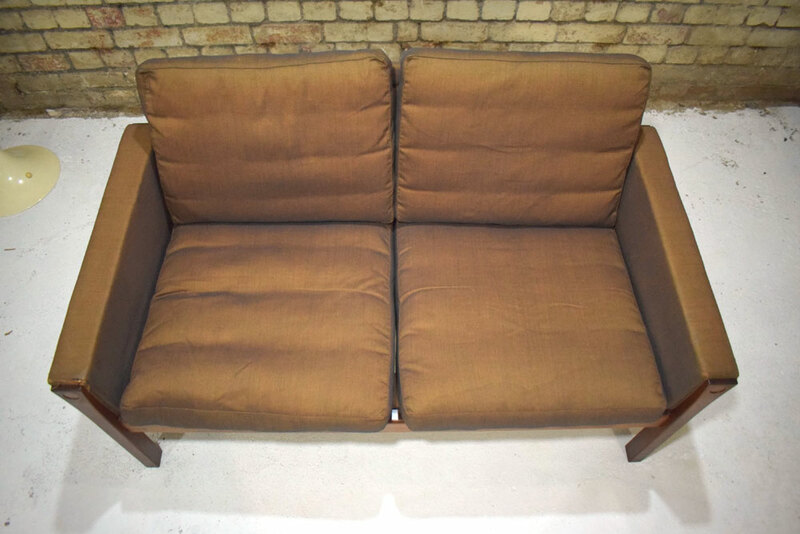 The cushions are all in good condition and are fully upholstered so can be used on both sides for even wear. Condition. 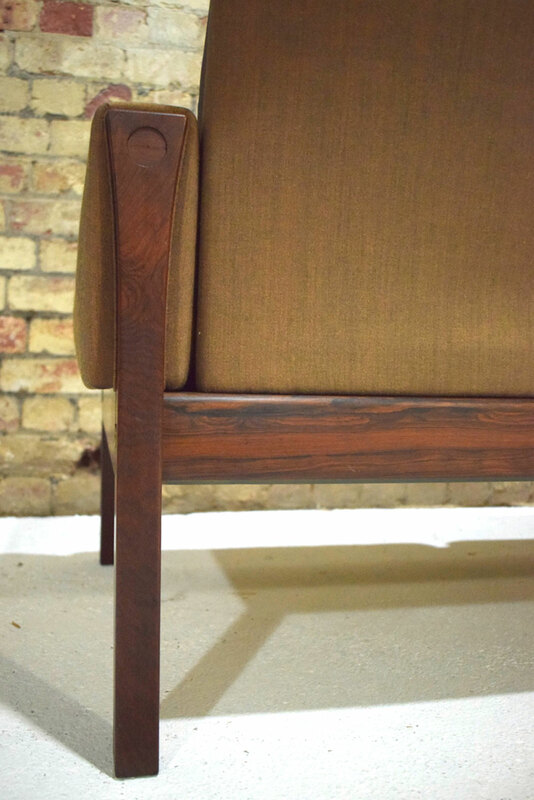 The sofa frame is solid with amazing patina in the rosewood. 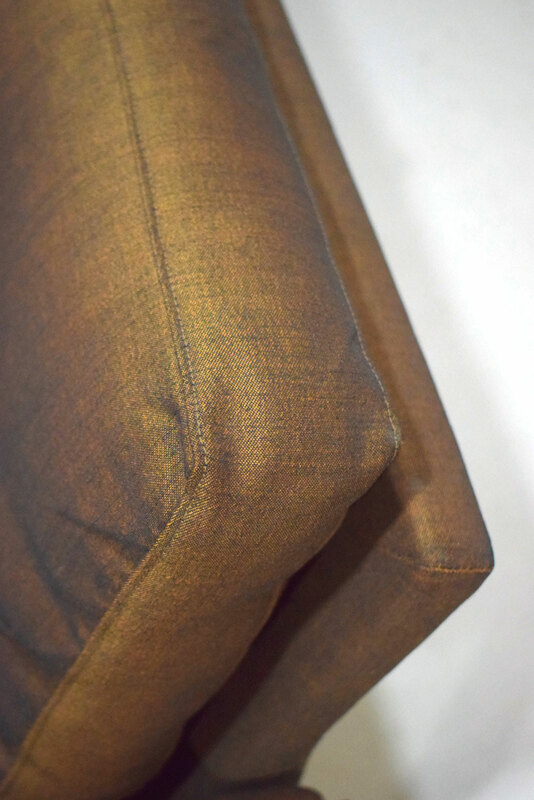 Minor signs of use & age are present on the frame & upholstery. 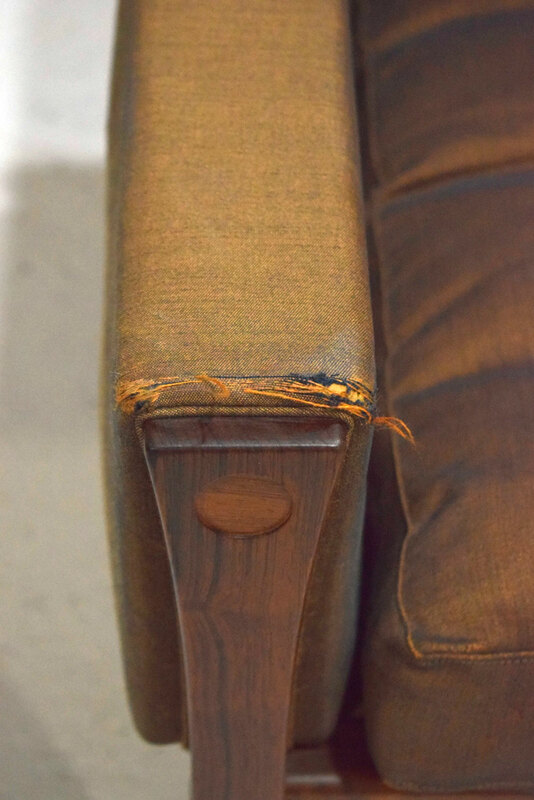 The upholstery on the arm rests is frayed slightly, and will need to be replaced, see images. 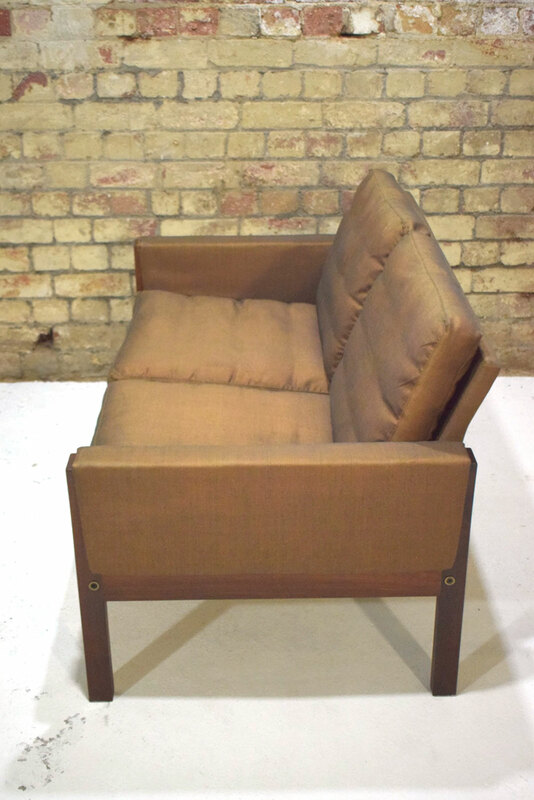 The two arm rests are in need of restoring as the foam interior has crumbled. 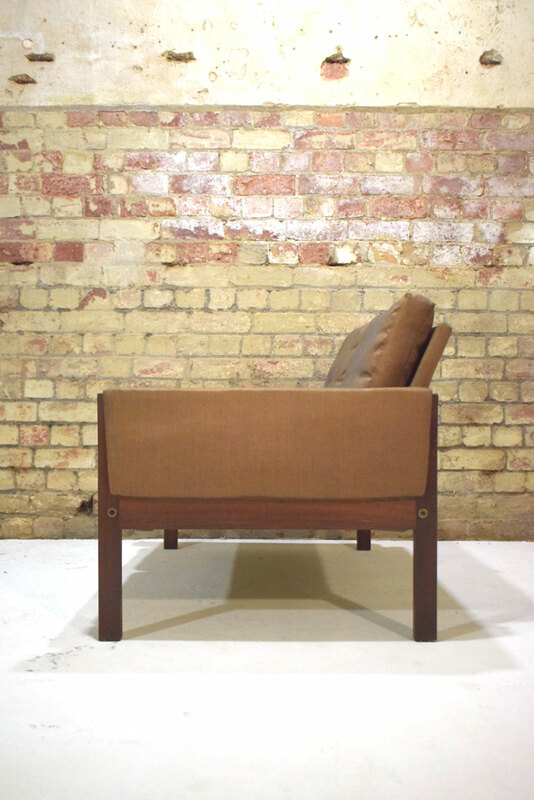 It can be completely dismantled for easy transport / delivery.